The Elmers have made a brilliant start to the half term. We have started our daily 'Dough Disco' sessions, enjoyed drawing activities and been busy sharing our news from the Christmas holidays. We've also enjoyed singing nursery rhymes and playing together again. 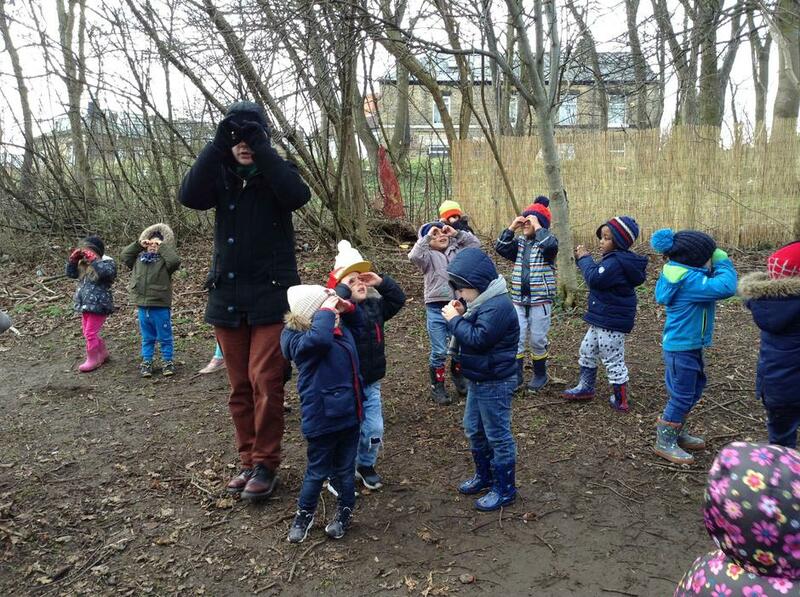 Also, we enjoyed exploring ice outside and playing games to help us keep warm in the outdoors. It's been a brilliant day full of fun and lots of learning! The Elmers have had another busy week full of fun and lots of learning. We have enjoyed a variety of activities. These have included mark making in shaving foam and coloured rice. We have used tweezers to pick up pom poms and pasta to improve our fine motor skills! We have continued to learn more about farm animals. We have enjoyed reading our focus story 'Farm 123' as well as playing in our Farm Shop role-play and farm scene small world tray. 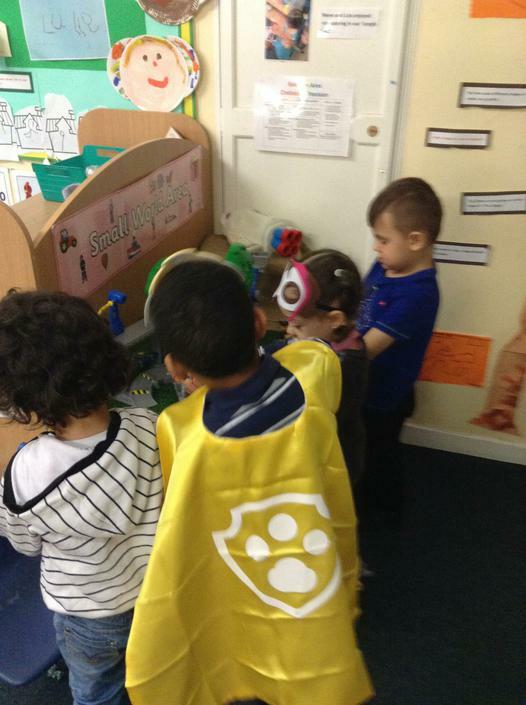 Lots of us have enjoyed other imaginative play such as dressing up as out favourite Paw Patrol characters! We even got to play with our Paw Patrol small world scene (a brilliant present from Father Christmas!). 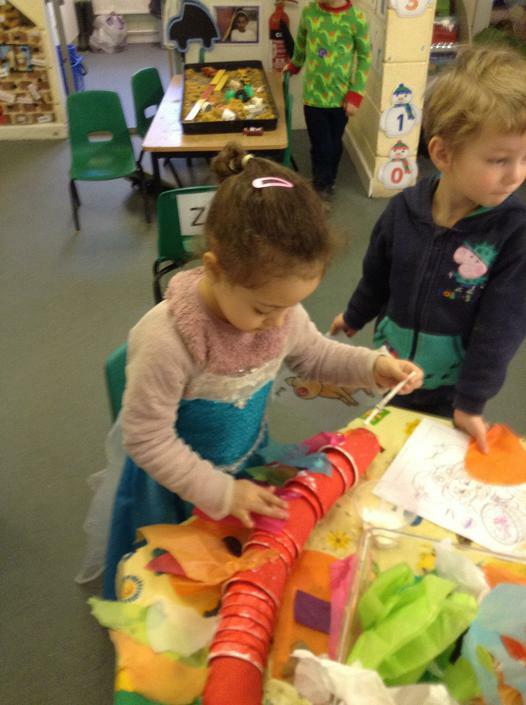 Also with Mrs Laver we have been making a 'Chinese Dragon' and learning about 'Chinese New Year'. We have thought about which animal was the 'Year of...' when we were born. 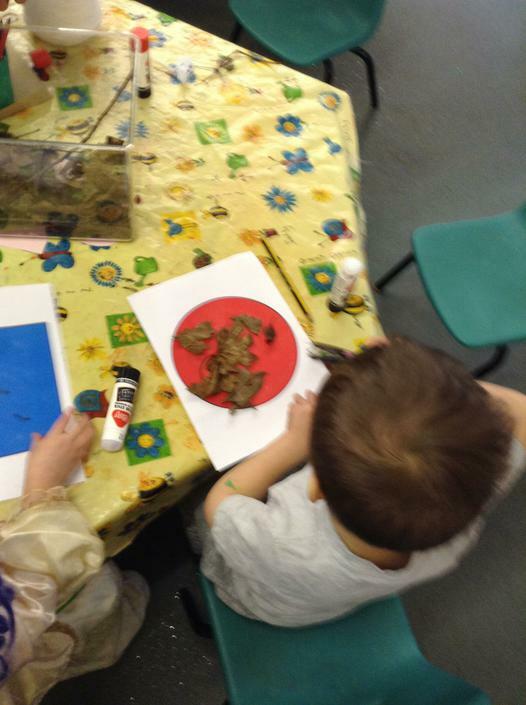 Some of us enjoyed painting animals linked to the Chinese New Year story too. We got to the top of our Elmer chart due to our fantastic behaviour! Therefore we had our class reward. We chose to watch some of a Paw Patrol DVD and eat a few lovely snacks. Another fabulous week Elmers! Well done. 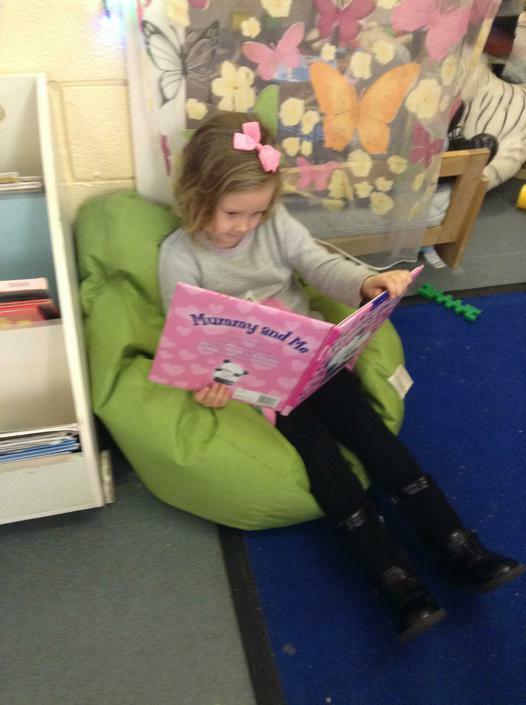 Week 3 - We love reading! As part of our topic 'Down on the farm' we have been looking at a range of farm stories and farm related texts. 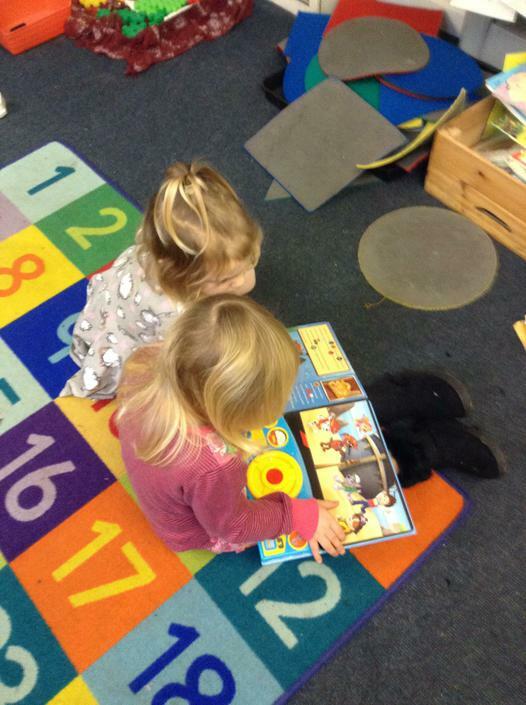 This has included stories such as 'Farm 123' and reading information about baby farm animals. The children have loved reading about animals on farms. 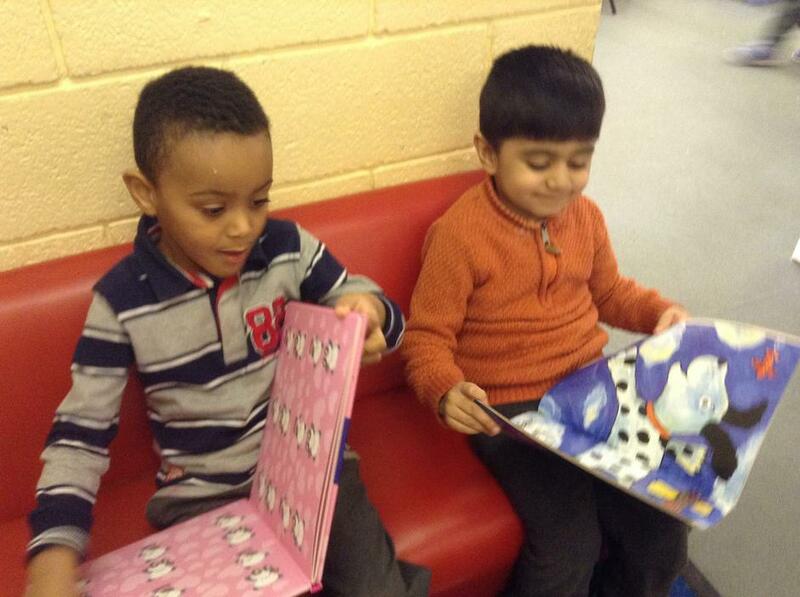 As well as reading together as a whole class, lots of us have chosen to access books independently. We can already turn the pages carefully! Lots of us are showing interest in the pictures and recognising some letter sounds! 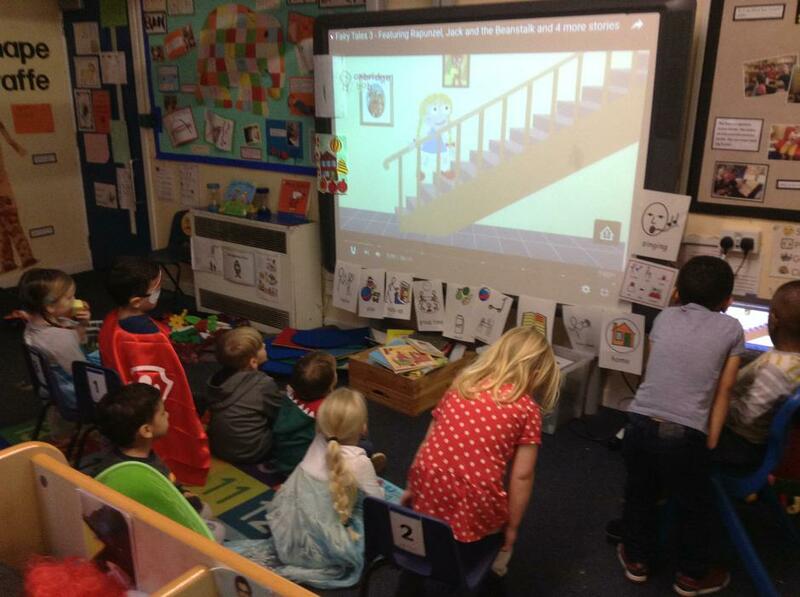 Also lots of us are enjoying watching online stories on our Interactive Whiteboard. 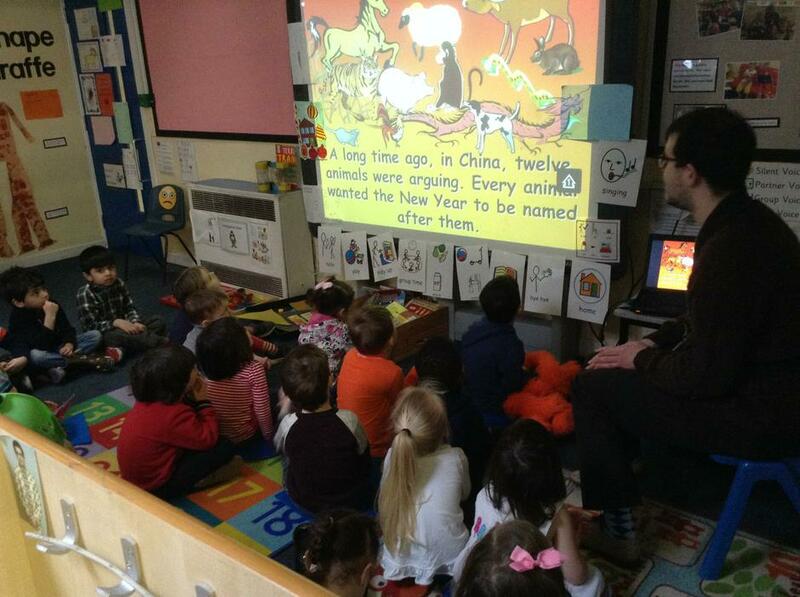 We have enjoyed listening and watching stories such as 'Goldilocks and the Three Bears'. 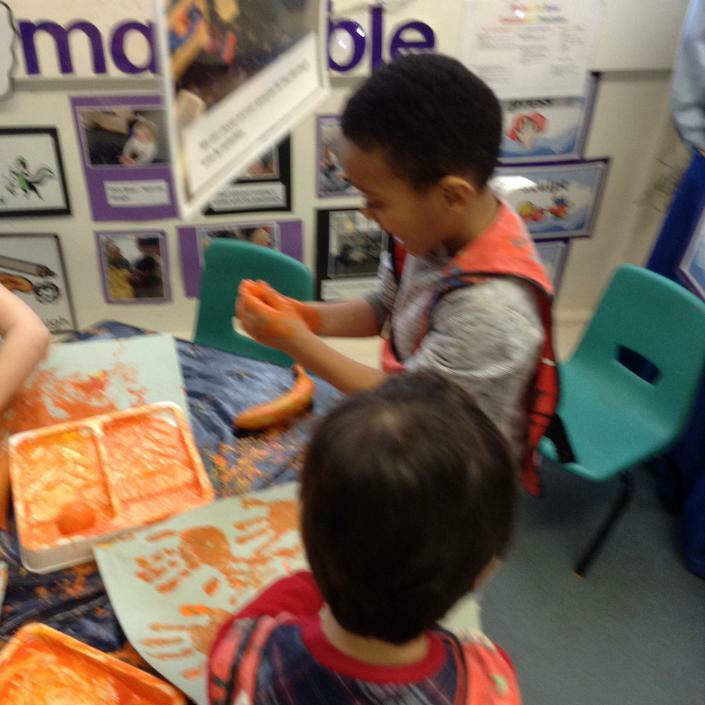 Week 4 - Getting messy! The Elmers have loved getting messy this week! 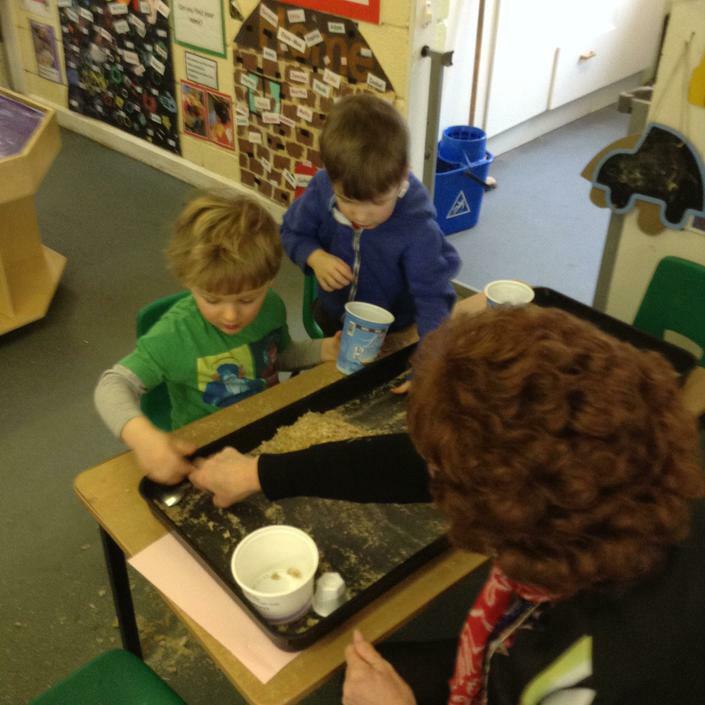 We have enjoyed making marks using large paint brushes in glitter and trays of custard. 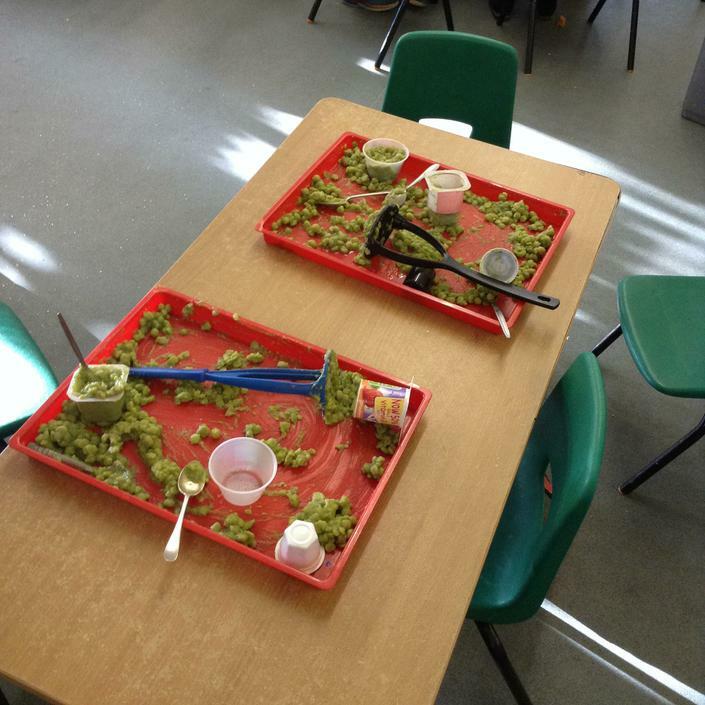 We loved using large spoons with wet shredded wheat, dry cereal and even mushy peas to fill different size containers. The Elmers have been experimenting with fruit printing with paints. 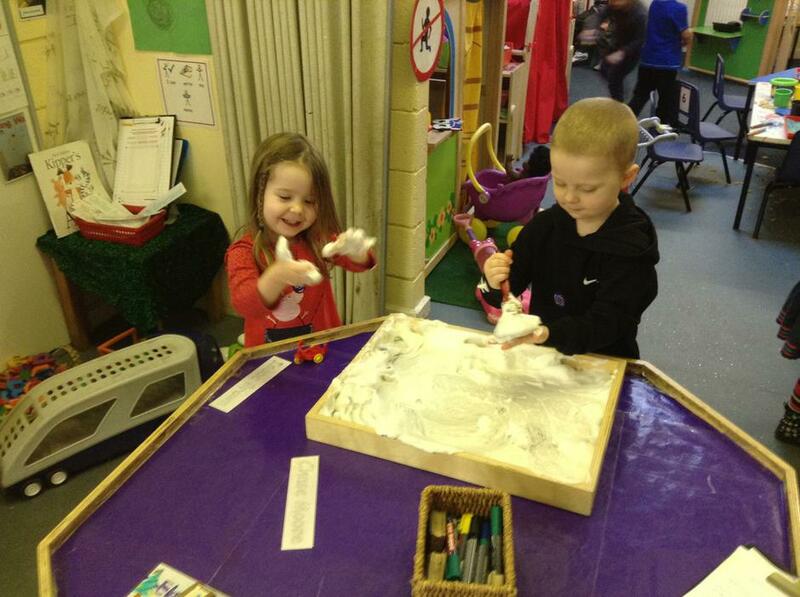 Lots of us enjoyed using our hands to create handprint pictures too! It was very messy and lots of fun! All of these activities have provided us with lots of opportunities to develop our fine motor skills. 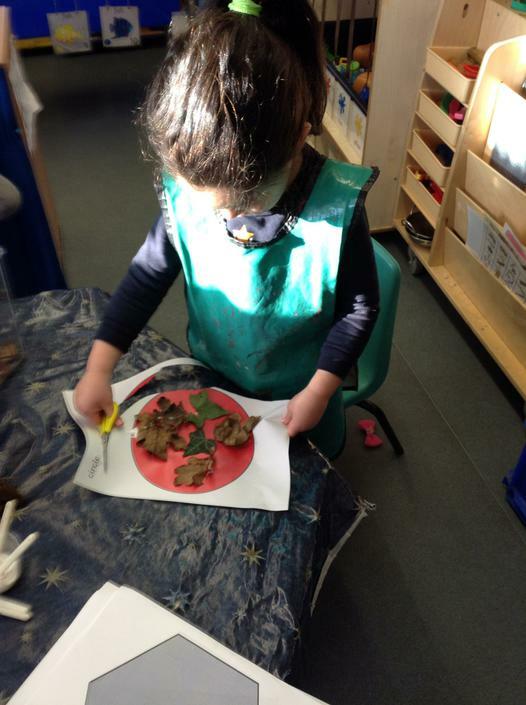 Also the children have made lots of their own interesting observations while playing and experimenting. We have been learning about winter this half term, we dressed a bear for winter weather and sorted clothes into winter and summer groups. We used our knowledge to cut out some warm winter clothes to stick onto a character. We talked about winter colours and created some weaving using cold winter colours. Elmers have also been investigating ice, we have observed what happens to ice when we put it in a nice warm place..."it melts"..."it gets slippy"..."it makes water". We now know that ice is frozen water and decided to make our own ice decorations using water, glitter & sequins..."they need to get freezing cold"..."We can put them in the freezer"
"We can put these in the freezer"
These will looking amazing hung outside! 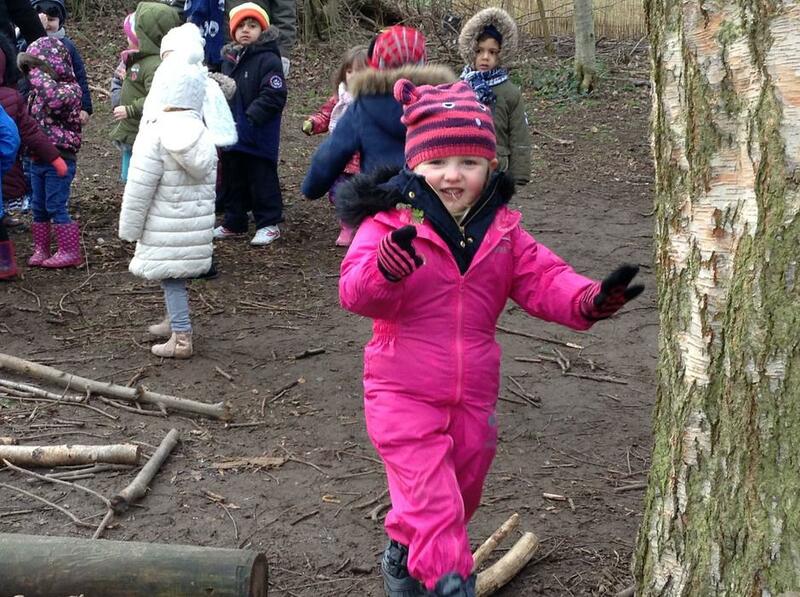 Week 5 - Forest School Fun!! The Elmers have had a wonderful week learning lots in our Forest School. 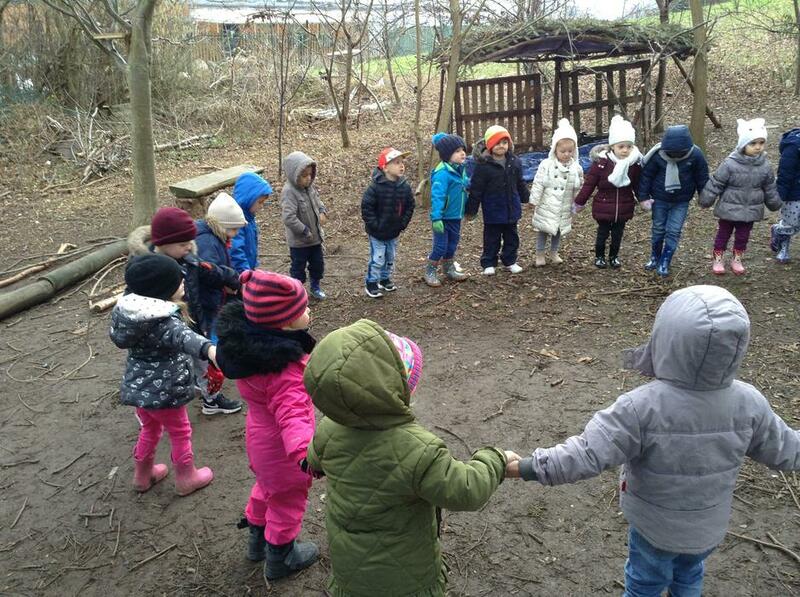 We have enjoyed a range of activities including collecting leaves, singing songs and listening games. We even enjoyed reading stories in the forest. We even had the opportunity to work with Mr Butler. We got to toast marshmellows, have hot chocolate and eat popcorn! 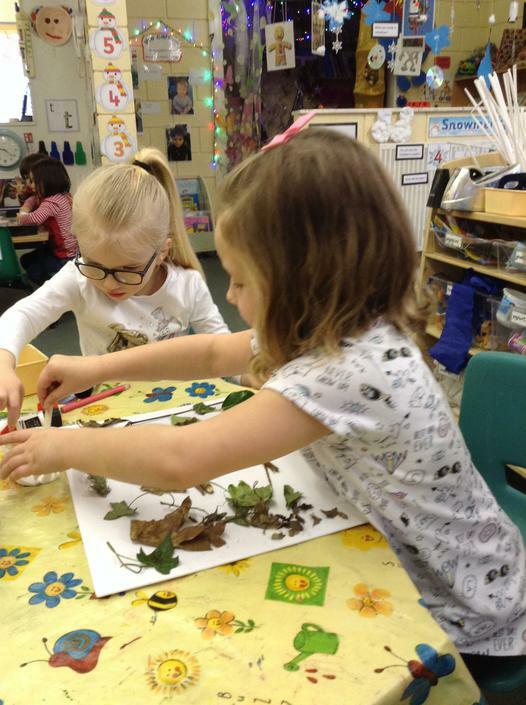 We have enjoyed using some of the leaves and twigs we collected to be creative within our classroom. 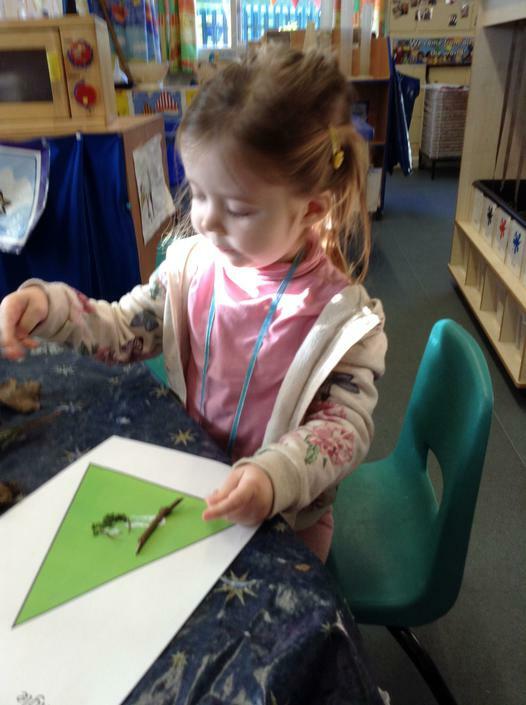 We chose to stick leaves on shape templates to support our shape recognition. It has been a fantastic week. The behaviour of the children has been amazing. We are so proud of all our children! A brilliant final week of Spring 1! The Elmers have had another brilliant week so far. We are so proud of the brilliant progress all our children are making! The children are so settled, happy and are confident in following all our routines. 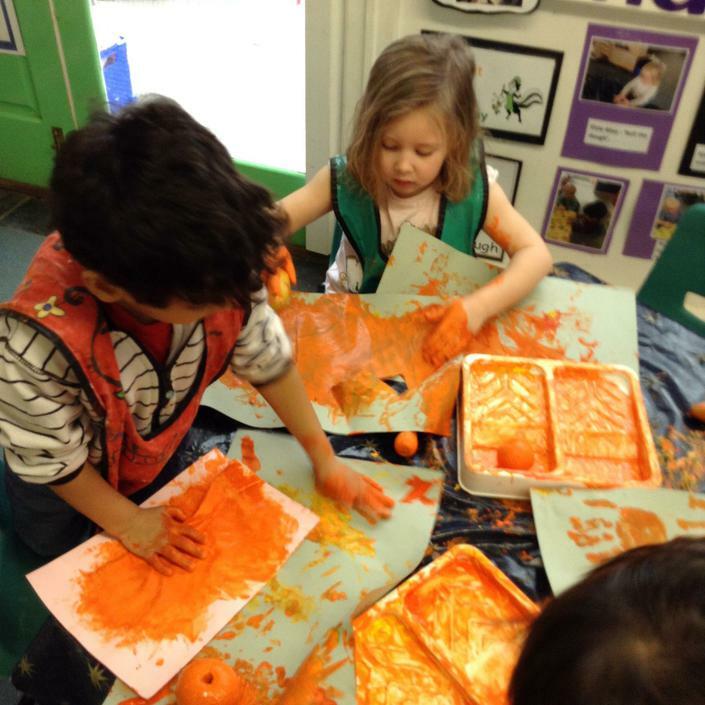 All are eager to learn and we are having so much fun in the Elmer base. The children have learnt so much again. We have particularly enjoyed participating in activities linked to 'Understanding of the World'. 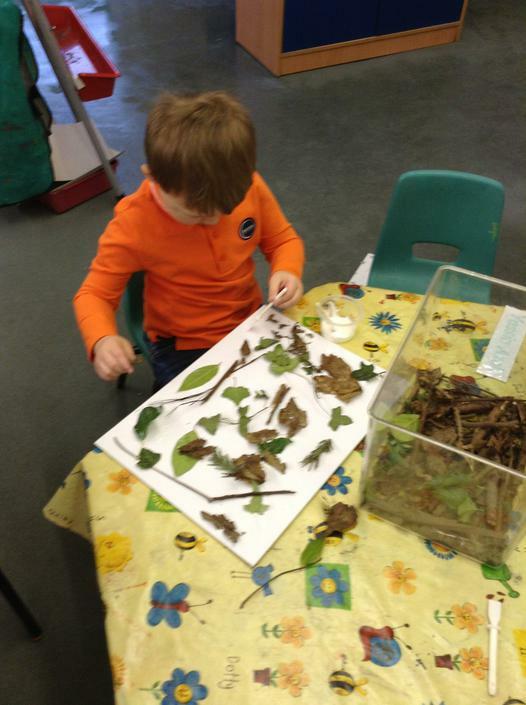 This has included using leaves we collected during 'Forest School' last week to create our own art work. 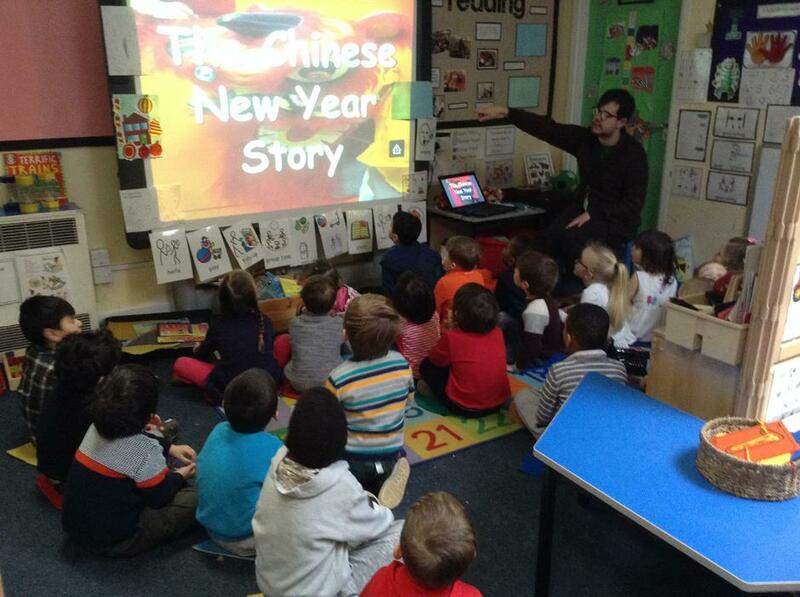 We have also enjoyed reading 'The Chinese New Year story' and learnt about the twelve animals that represent 'Chinese New Year'. Our focus on 'Chinese New Year' will continue on Thursday, when we participate in some Chinese dancing!